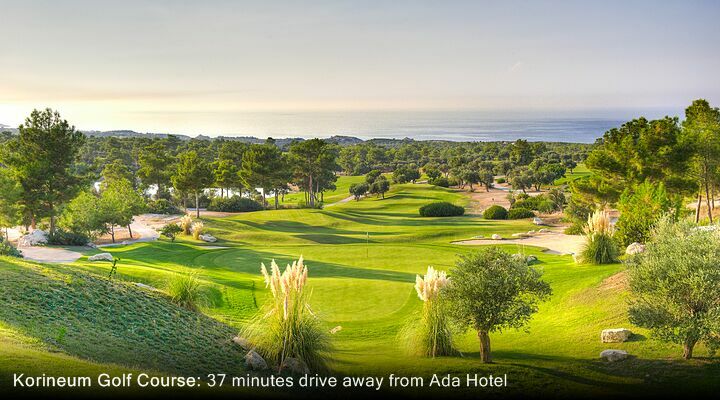 7 Nights from £349 inc Flights, Hotel & VIP Transfers - £175 OFF! 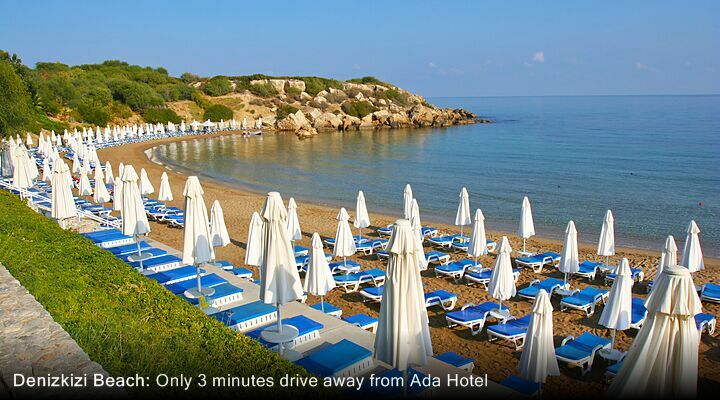 The Ada Hotel is ideal for those looking for a clean, comfortable seafront hotel on their North Cyprus holiday. 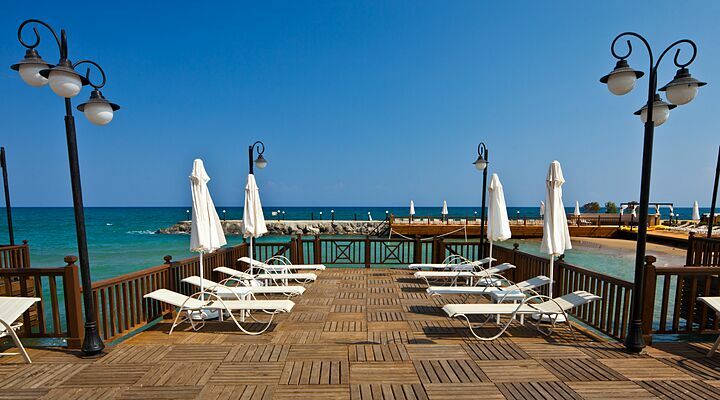 Enjoy panoramic views of the Mediterranean Sea from every room and extensive terraces where you can bask in the warm sunshine. 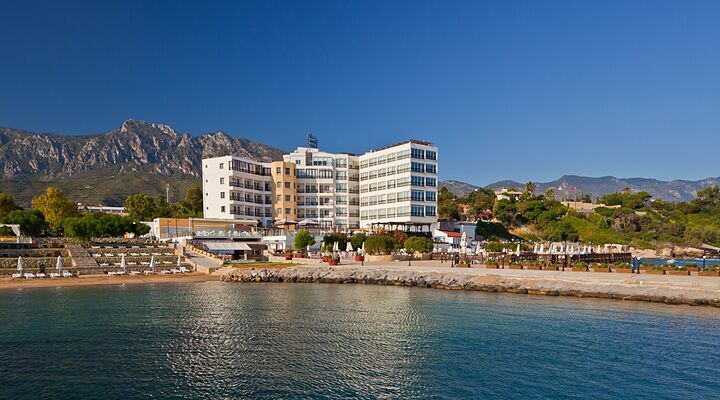 With stunning sea views from every bedroom, the Ada Beach Hotel is perfect for those who love to be right beside the sea. 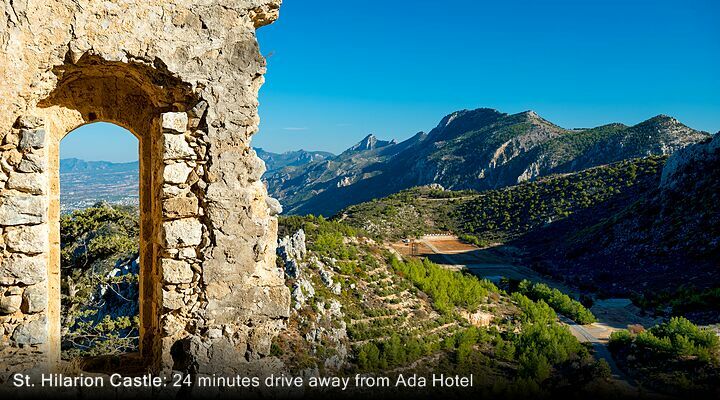 Most rooms have a balcony so you can relax and soak up the view anytime of the day, or sip a drink from the mini bar and watch the sunsets. 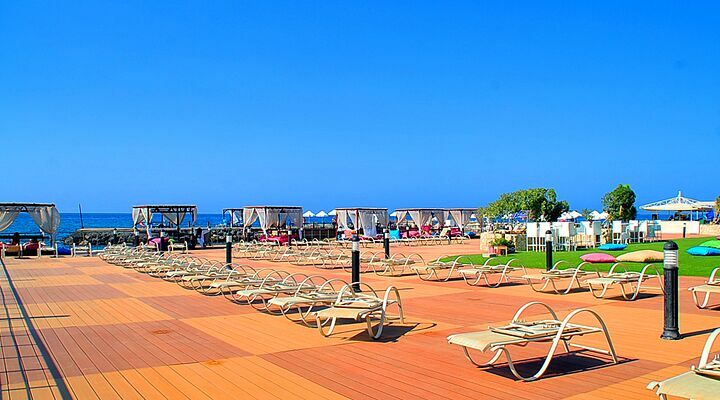 The view is equally special from the various sun decks, and wherever you choose to relax, you can hear the waves! 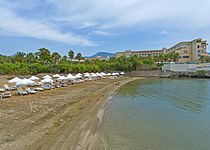 With stunning sea views from every bedroom, the Ada Beach Hotel is perfect for those who love to be right beside the sea. Most rooms have a balcony so you can relax and soak up the view anytime of the day, or sip a drink from the mini bar and watch the sunsets. 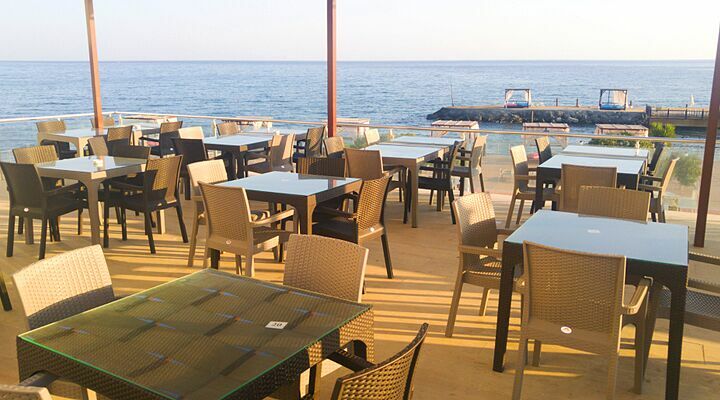 The view is equally special from the various sun decks, and wherever you choose to relax, you can hear the waves! 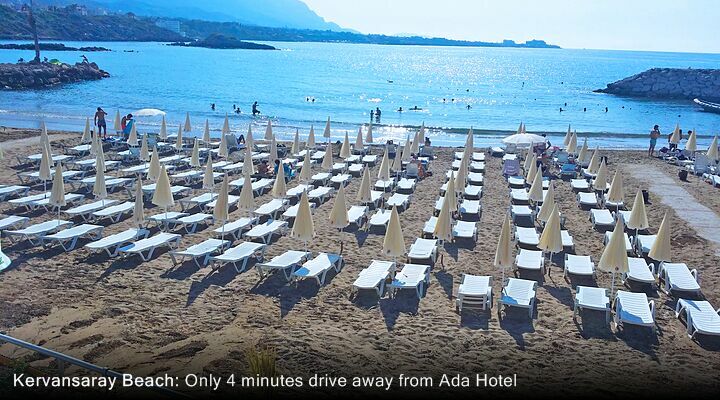 Tastefully furnished and light, bright and airy, all rooms at the Ada Beach Hotel include the facilities you'd expect from a standard 3 star North Cyprus hotel. 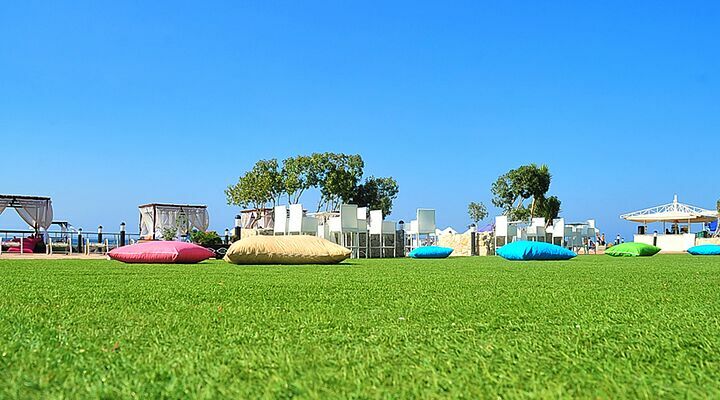 You’ll find a mini bar, air conditioning, satellite TV, en suite bathroom and complementary beach towels. 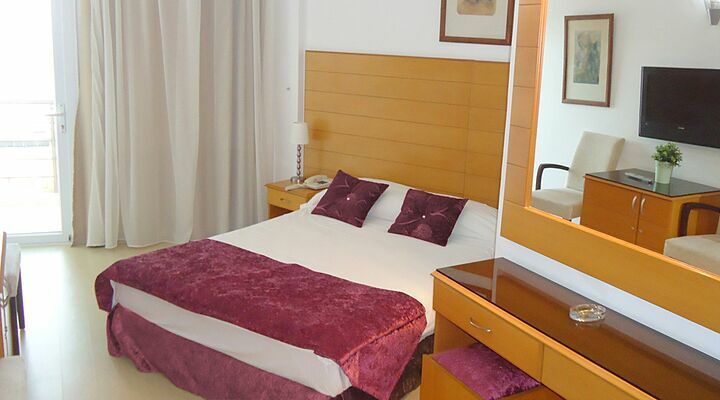 Deluxe Rooms offer the luxury of a full king size bed and a Jacuzzi bath. 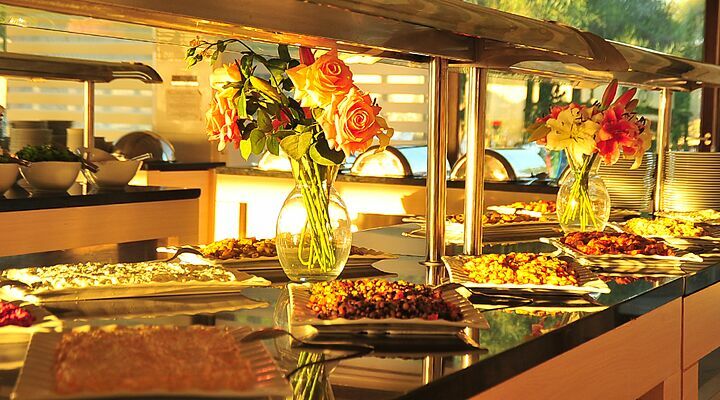 Or enjoy your very own private Suite; dine in style with room service on the spacious balcony, relax in your own sitting area, or just enjoy the magnificent sea views. 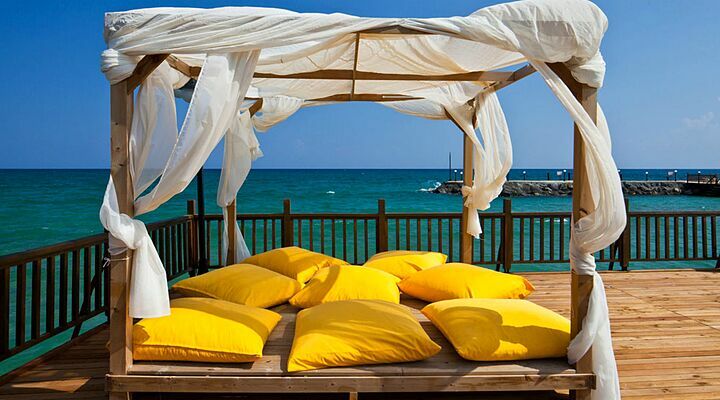 Want a relaxing holiday on the beach in North Cyprus? 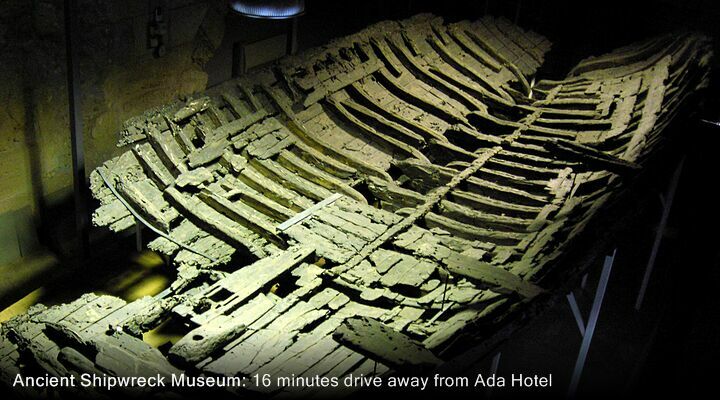 Call our team today for our special rates at the Ada Hotel - 0800 612 6600. 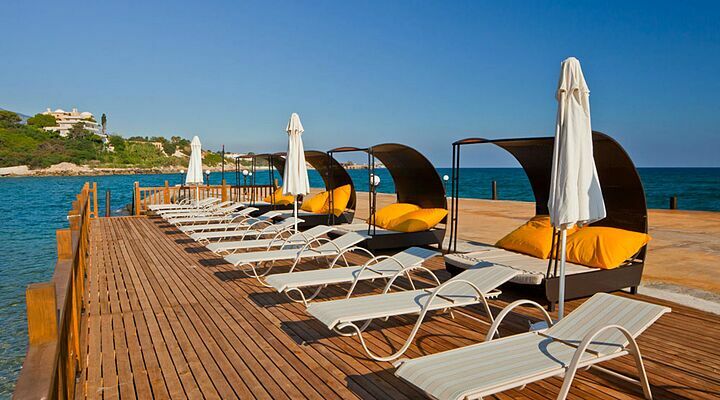 At the Ada Beach Hotel, a sun lounger is never very far away. 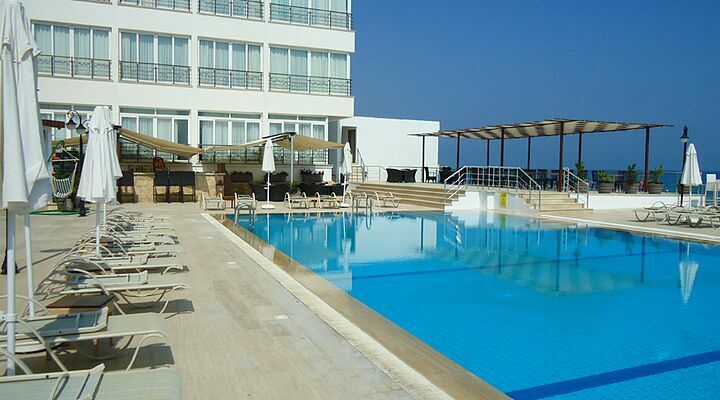 Lie back and soak up the sun beside the smart swimming pool, ideal for a cooling dip. 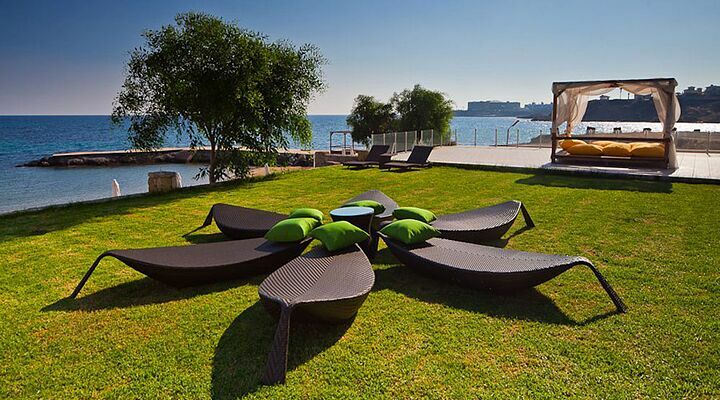 Choose a favourite spot on one of the sun decks, and relax to the sound of the waves lapping underneath. 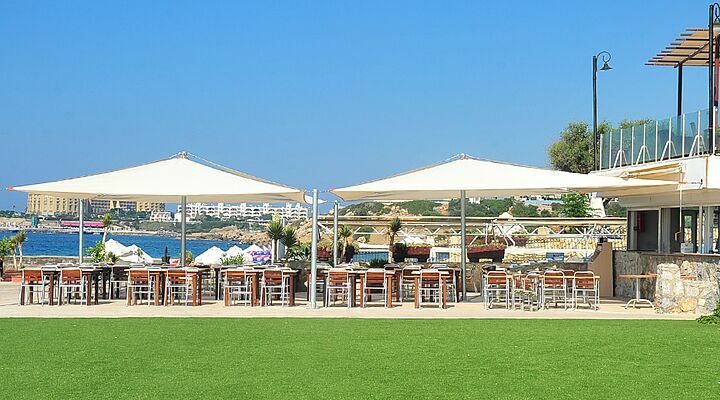 Chat with friends old and new on comfortable divans under a shady pergola, or stroll down the terraced grassed area above the beach to read a book. 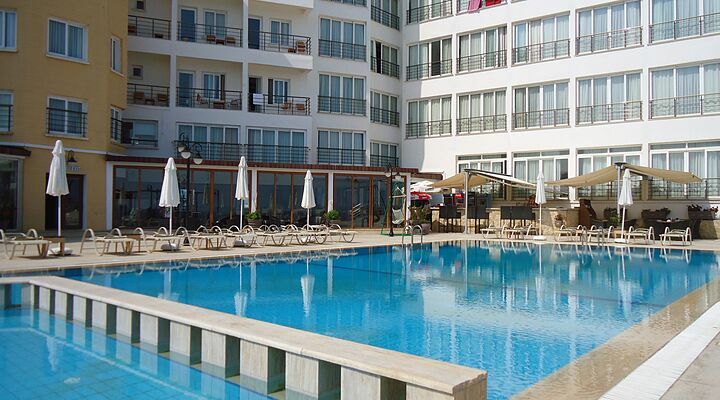 The hotel also has a small spa-style indoor swimming pool. 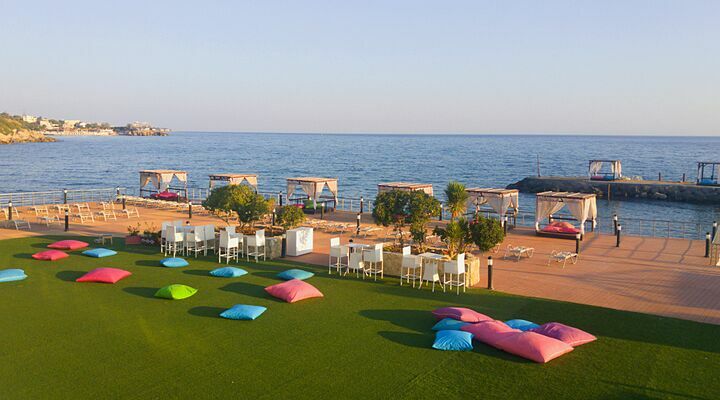 The seafront at the Ada Hotel has plenty of places to relax, including chic decking, grassy terraces and soft yellow sands. 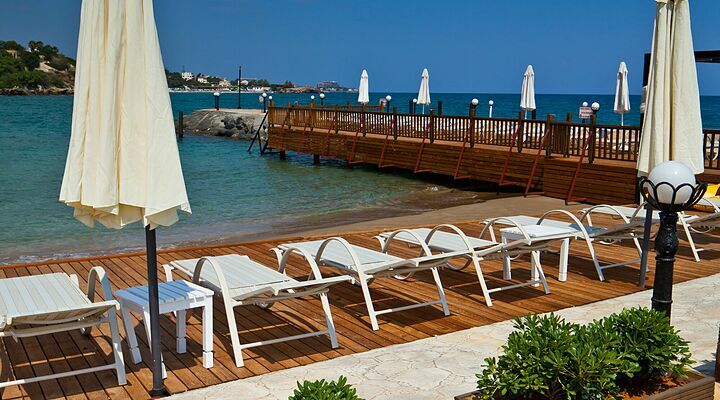 Laze on a lounger on sundecks, each with a swimming stepladder down to the water below. 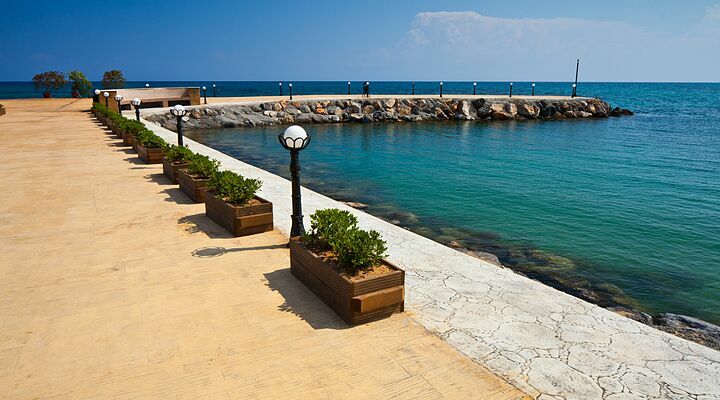 The T-shaped breakwater and sun decking form a lovely sheltered bay that’s ideal for safe paddling and swimming for younger children. 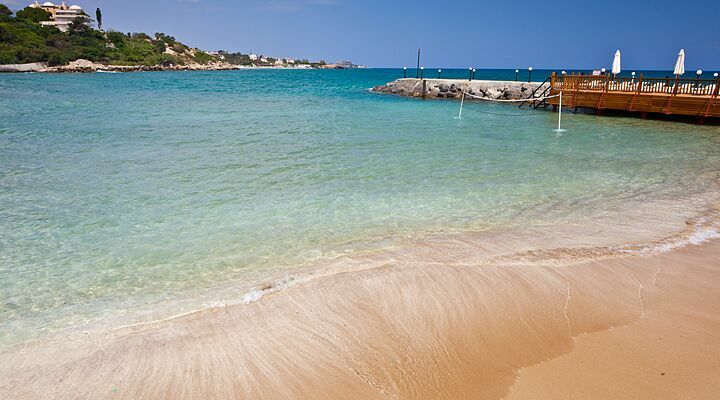 There is also another separate cove with water-sports. 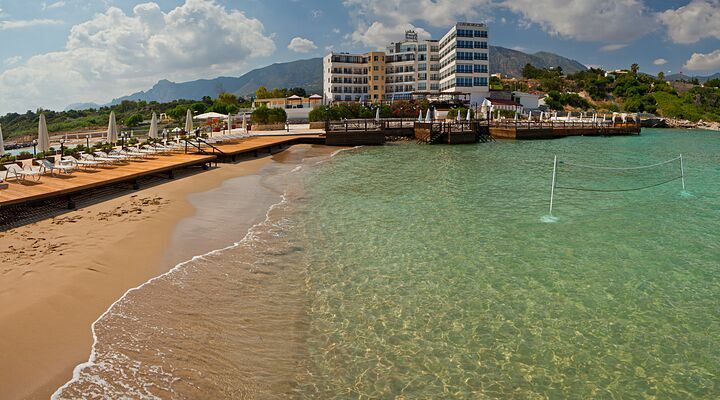 With soft yellow sands lapped by gentle waves, and sheltered by the hotel's breakwater, the beach area on the other side of the breakwater is equally delightful. 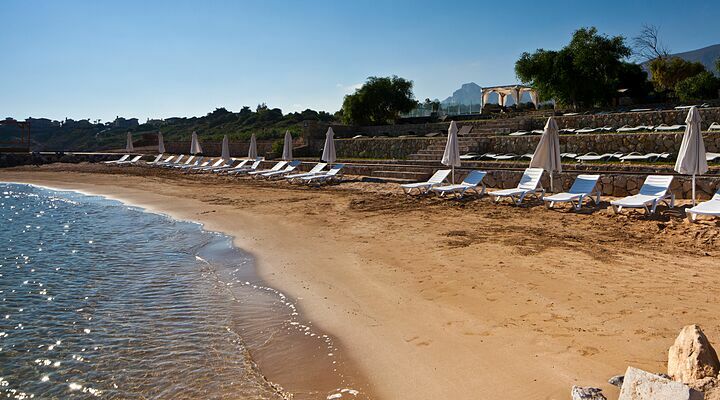 Enjoy the sensation of waves lapping at your sun lounger legs, or dig your feet into the cool sands. 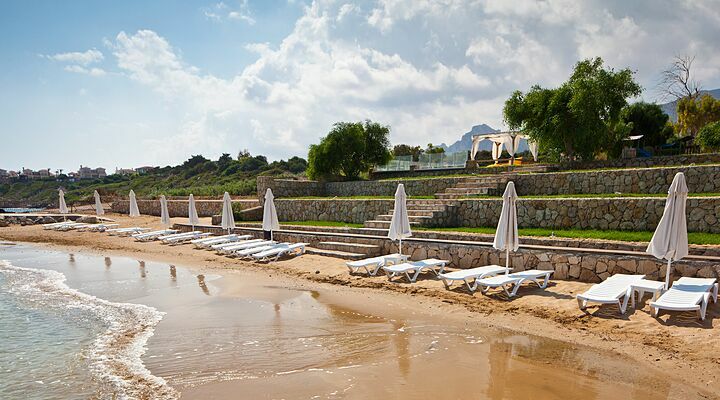 Behind the beach, grassed terrace areas offer an ideal mix of sand-free sunbathing and stunning sea views. 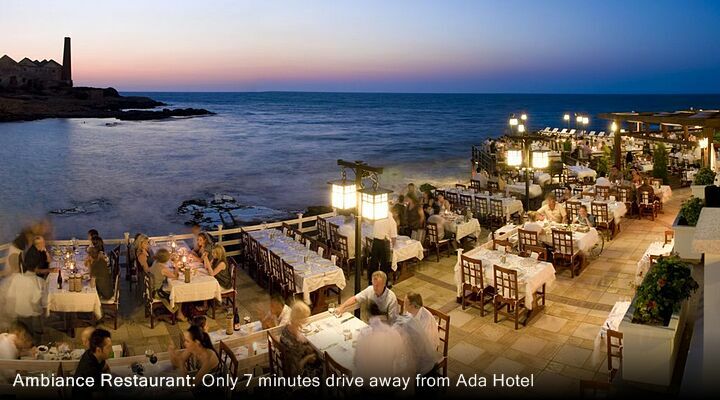 Dinner at the Ada Beach Hotel is a treat. 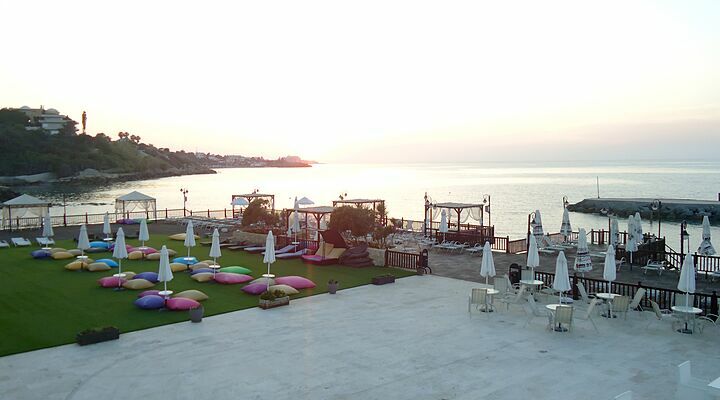 Start your evening with a traditional Brandy Sour in the terrace bar, with magnificent views over the Kyrenia Mountains. 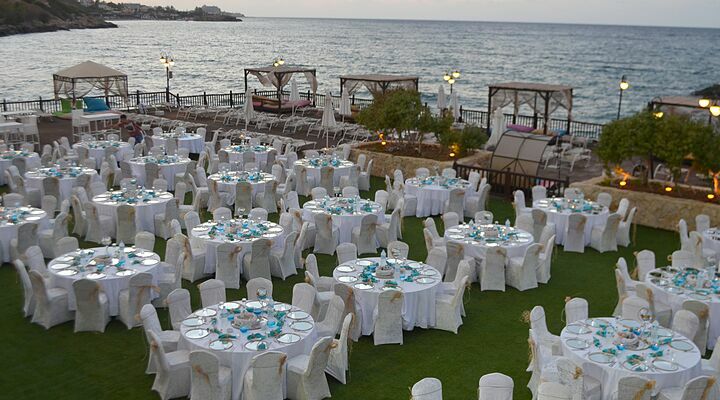 Dine in their traditional Turkish restaurant with tables placed outside in the warm evenings. 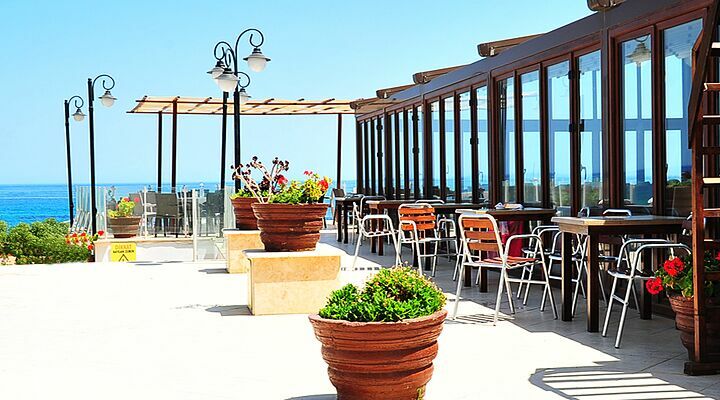 Enjoy fresh meats and fish carefully cooked over an open flame grill from the Terrace restaurant all served by friendly staff under the Cyprus stars. 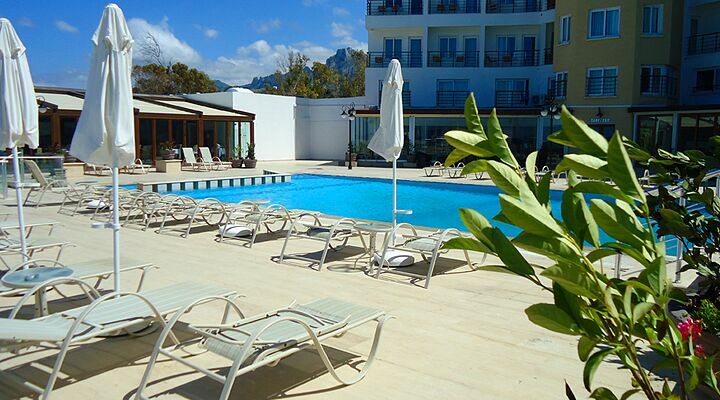 Snacks and drinks are available from the Pool Bar during the day too. 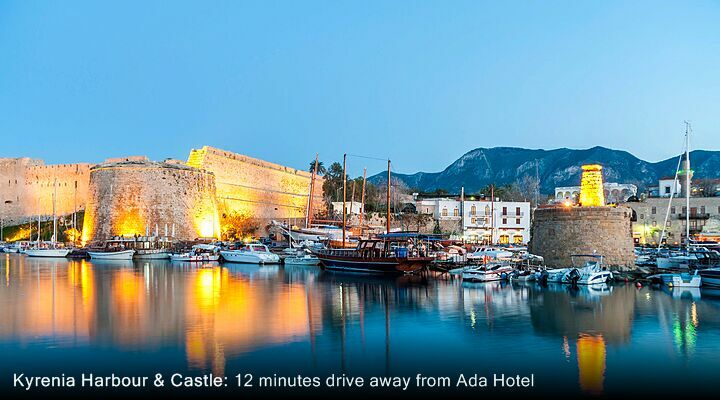 The Ada Beach Hotel is only a 10 minute drive or bus ride from the pretty harbour side town of Kyrenia. 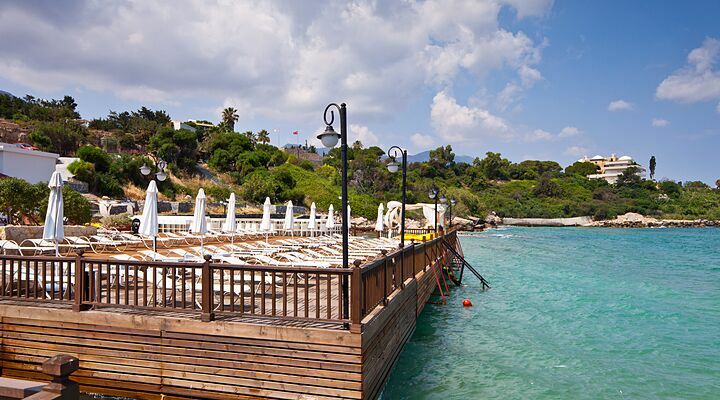 A five minute taxi drive or short bus ride will bring you to the growing village of Alsancak, offering family-run restaurants, bars and small shops. 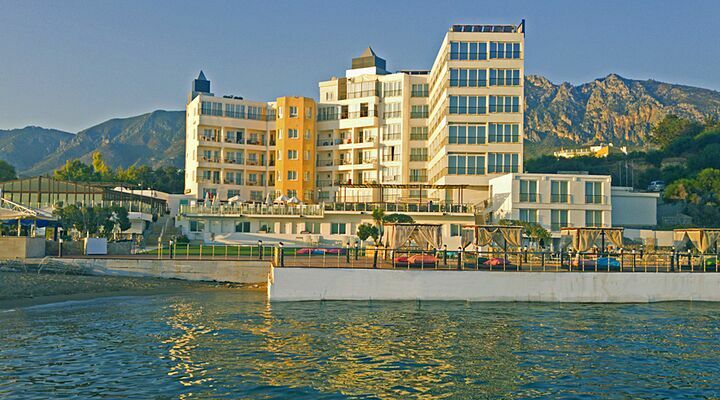 Please note that the hotel entrance is down a steep drive which is unsuitable for disabled customers, so do ask your taxi driver to take you right to the hotel door! 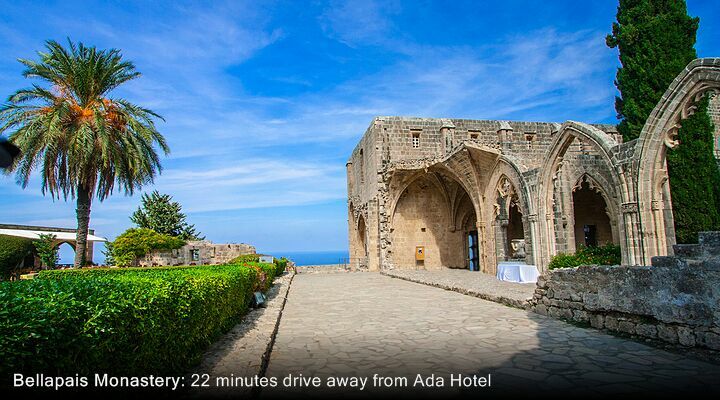 Arrive at Ercan International Airport, enjoy a scenic drive in your private taxi transfer, and you could be checking in to the Ada Beach Hotel in as little as 45 minutes from landing. 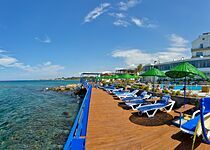 Now that sounds like a great way to start your North Cyprus holiday!